For a couple of years now, my cleansing loyalties have always lied with the one and only Emma Hardie Moringa Cleansing Balm. When I last went on the hunt for my usual favourite, I was left in a panic. Not one place I tried online had it in stock. Cue my sweaty palms. I was going to New York for a few weeks and the thought of being without it made my tummy turn. 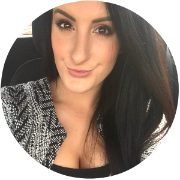 When something really works for your skin, you become cautious about changing things up. Now, I wasn't sure whether the Emma Hardie balm was being slowly discontinued or was going through a disappearing act, but I was anxious. 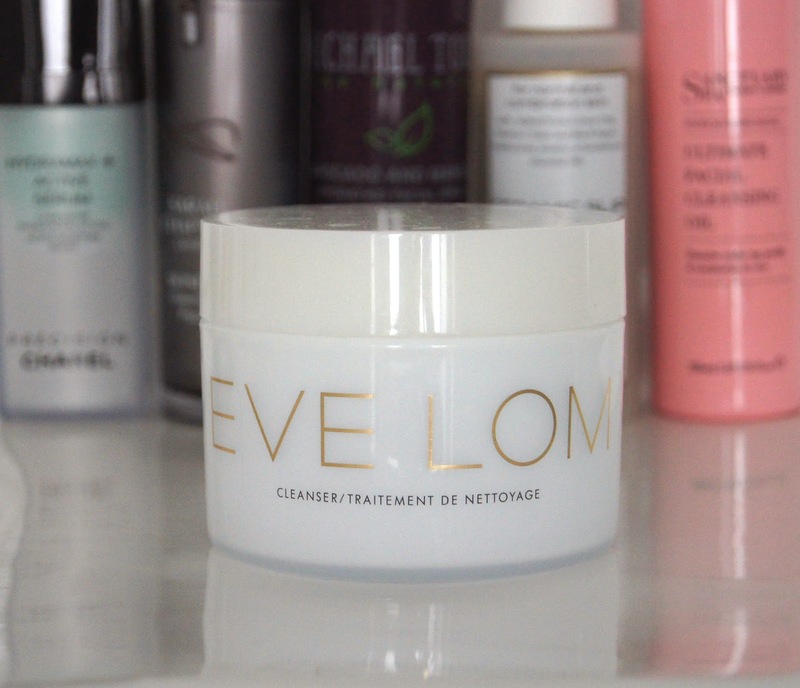 In sheer desperation, I searched for a replacement and, going on the cult-classic status, opted for the quintessential beauty editor favourite, Eve Lom Cleanser. I warn you now, this review is going to be a meaty, but surprising, one. Being iconic and always hitting the top spots in high-end publication product raves, I didn't back up my buy with much research. I'd even jumped in at the deep end and gone for the whopping 200ml size! Come on, Vogue even stated that it was, 'probably the best cleanser in the world', which is high praise indeed. My worry had tainted my standard 'find out everything before I buy it' process, alright? As a result, I failed to check the ingredients. What's top of the list? That dreaded M word. You know, the notorious one that, even when quietly uttered, sends shivers of fear down the spines of the experts within the skincare world. That's it - mineral oil. On reading the list, after a week or so of liberally slapping it on my face both morning and evening, I promptly rushed to the closest window, clutching my most unforgiving, 12x magnifying mirror. After carefully scrutinising every last inch of my skin, I was left confused. To my surprise, despite the cleanser being packed full to the brim with the stuff, it doesn't seem to have made the slightest bit of difference to my skin. It seems no better or worse than when I've used mineral-oil-free products. Thanks to beauty buffs like Caroline Hirons, I'd made every effort to shun mineral oil, believing it to be the work of evil. Turns out, whilst it may not do all that much in terms of nourishment, it isn't my complexions number one enemy after all. After using this product for well over a month, it hasn't broken me out or given me any gripes whatsoever. No blocked pores, no irritation, no dry patches. I'm not saying that I'm a mineral oil convert or actively seek out products that contain it, but I merely won't think of it as the horrific, skin-ruining monster that I once thought it to be. But, whilst it may not cause me any problems in cleanser form, I will continue to avoid it in any products that you leave on the skin, like serums and moisturisers. This cleanser has a thick, grainy consistency to begin with, before transforming into an oil when massaged in, as the beads dissolve. The formula breaks down makeup quickly, but I find it takes a little more work to remove every last trace of mascara, than it does with the likes of my beloved Emma Hardie. As it does contain so much mineral oil, you need to make sure this is really rinsed off thoroughly. Containing four essential oils, including clove and eucalyptus, it does have a powerful fragrance to it, which doesn't leave my nostrils happy. Of course, you receive two obligatory muslin cloths with this cleanser and these are definitely the most effective at exfoliation, out of those I've tried. Since Eve Lom was the brand that first introduced the technique of removing cleanser with a cloth, I'm not too surprised. It works like any other cleansing balm, basically; skin is left conditioned, smooth and squeaky clean, without being stripped. What may set it apart from others, though, is that Eve Lom has devised a special, seven-step massage routine that fits perfectly with the use of the balm, helping to improve circulation and drain away toxins. This can become a time-consuming chore if done every day, so I tend to do it twice a week, in the evening. Whenever I do take the time to follow the routine, I find that my face is a lot plumper, firmer feeling and brighter looking, the next morning. Saying that, you can perform the massage technique with any oily cleanser of your choice and I'm sure you'd get the same result. Price wise, buying the largest, 200ml tub works out considerably cheaper than the 50ml or 100ml versions, but it is still an expensive choice. £85 is a lot of money to hand over, but you can barely notice that I've used any so far and it's been well over a month. Arguably, considering the not-so-fancy ingredient make up of this cleanser, you are paying a lot for a tub of something that sounds as though it may be cheap to produce. But, I wouldn't cast this cleanser aside simply because of that. The typical white tub and gold lettering is chic and sophisticated, as far as skincare packaging goes. It takes pride of place on my bathroom shelf. Such a big tub may not be practical for travelling, but it's easy to decant into a smaller container, if needs be. Will I purchase it again? I may well do. I have since bought a back-up of the Emma Hardie balm, but I will no doubt continue to use the Eve Lom cleanser, switching up between the two. My skin has been liking it so far, leaving me happy. 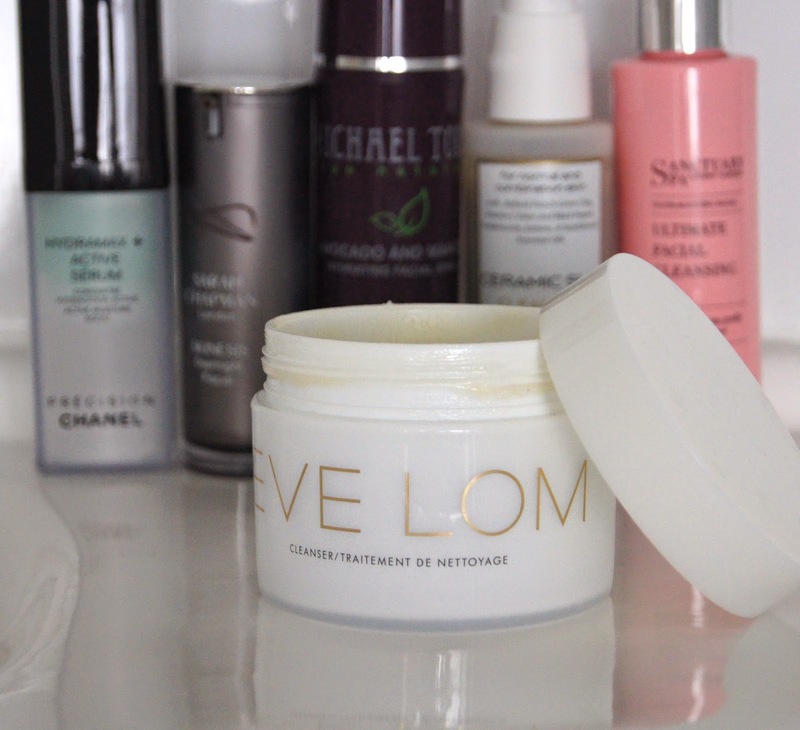 How do you feel towards the Eve Lom cleanser?